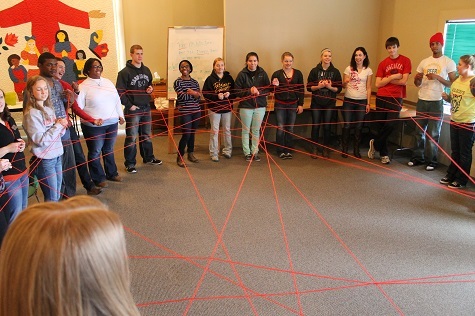 Last Sunday, youth from all of the statewide Project Everlast Councils and the Governor’s Youth Advisor Council gathered at the Carol Joy Holling Retreat Center. The goal? Talk through this session’s legislative bills and decide which ones to support. 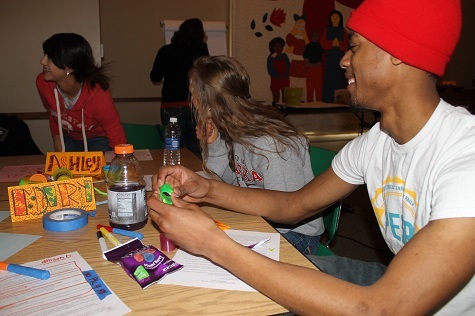 Project Everlast leaders walked the young people through several exercises to determine which bills were most important to them, and how to build an argument to support those initiatives. 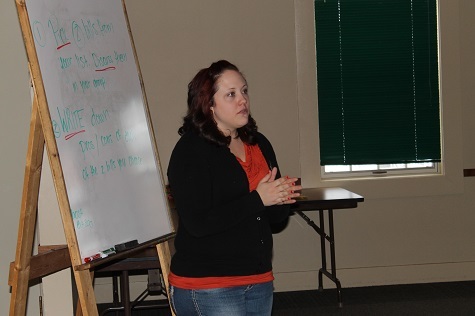 Amy Peters talking youth through a thought process to help them narrow their choices. The next day, however, is when the real fun began. The young people met with several Nebraska State Senators for lunch, and had the opportunity to share why they were passionate about certain bills. 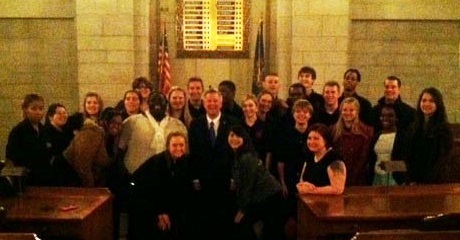 Later that afternoon, Project Everlast and GYAC youth were invited to meet with Governor Heineman. LB 807 – The proposed bill would apply only to those with provisional driver’s licenses, but the youth have argued that texting and driving should be a primary offense for all drivers, and that other smartphone activities should be included as well. LB 799 – Young people supported this bill, which would make it easier for young people to transfer academic credits from one institution to another, a major barrier for some in going back to school. LB 879 – While the young people appreciated the intention to make kids safer, they had concerns about the complications of allowing concealed handguns to be carried in schools. LB 923 – This bill requires educators, school administrators and school nurses to be trained with behavioral experts on suicide prevention. Young people were in favor of this potentially life-saving measure, but raised concerns about training time and costs. Project Everlast and GYAC youth pose for a group photo with Governor Heineman. 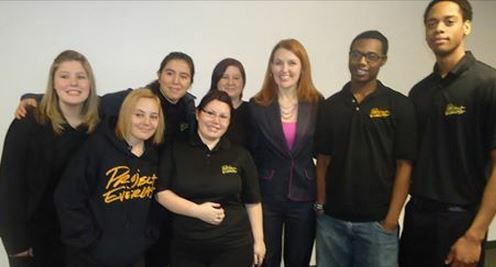 Senator McGill stops for a photo with young advocates.